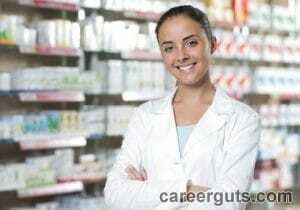 Here you will find everything you need to kick start your career as a pharmacy technician. We have state specific work & education requirements, a database of Pharmacy Technician schools in your area, and plenty of other helpful Pharmacy Technician guides & articles. Whether you’re just gathering information about Pharmacy Technician careers, looking for a school, or you’re hunting for pharmacy technician jobs, we’ve got you covered. Click your state to find more information on how to become a pharmacy technician, including information on pharmacy technician schools, work & certification requirements, salaries and more. The aging of baby boomers and the Affordable Healthcare Act have resulted in more people seeking healthcare than before. As the medical profession grows, the need for pharmacists and pharmacy technicians will experience a corresponding increase. 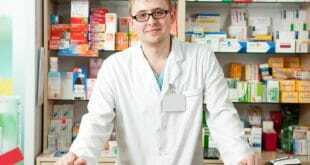 What is a pharmacy technician? That may sound simplistic, but it is the best definition of the position. Pharmacy technicians are responsible for receiving prescriptions from the patients or from healthcare providers and checking their accuracy. They also count out pills, fill vials and label them and file the information on the patient record. The technicians work under the direct supervision of a pharmacist. Many technicians are responsible for making sure the pharmacy gets paid as well. That entails filing insurance forms and working with insurance companies besides contact with patients paying directly. Technicians enter data, including pharmacists’ notes, into the computer. On the more mundane side, pharmacist technicians stock the pharmacy with bottles, lids, bags and other supplies. They answer the phones and may even run the cash registers. They are not responsible for answering questions about medications or general health; these are referred to the pharmacist. Pharmacy Technicians Work in Clean, Well-lighted Facilities. According to the Bureau of Labor Statistics, about 3/4 of employed technicians work in retail establishments like grocery stores and drug stores. Of the remaining technicians, 16 percent work in hospitals. They can also be found in long term care facilities, corrections facilities and in the military. The work requires long hours on your feet. Technicians also have to lift heavy boxes of supplies from high shelves and use stepladders. Pharmacy technicians work the same hours as pharmacists, including evenings, nights and holidays. Also, because some pharmacies are open twenty-four hours a day, technicians may work odd shifts. As pharmacy technicians gain experience and seniority, they may gain some control over their shifts. Technicians work with sick people and are exposed to many illnesses. The positive aspect of this is that technicians can develop immunity to things like influenza and colds. Pharmacy clients are often not in agreeable moods because they are not feeling well. Technicians must sometimes accommodate rude and offensive behavior. Pharmacy Technicians Must Have a High School Education. Classes also stress communication and customer service skills. Students are taught the laws governing pharmacies, both federal and state, and get an understanding of the HIPAA privacy regulations. Many schools offer online classes, but the hands-on aspect must be accomplished at a pharmacy. Fees average about $2000 for the nine to ten month program. The Job Outlook for Pharmacy Technicians is Good. 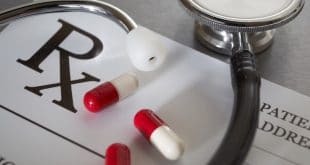 The Bureau of Labor and Statistics says the growth rate for the medical profession as a whole is about 22 percent but the rate for pharmacy technicians is 31 percent. The median salary for a technician is $29, 320. A career as a pharmacy technician allows you to be involved in the health care field without extensive patient contact. The working conditions are good and the educational requirements are not extensive. People seeing a career in this field should have an aptitude for math and science, and possess “people skills.” They should also have adaptive schedules. The short time needed to gain the education to pass the certification exam is another reason to consider a career as a pharmacy technician.